I’m obsessed with all things pink (shocking I know!) and I’m always on the look out for something unique and stylish and… pink! When it comes to travel I have a hot pink suitcase, posy pink carry-on and a light pink vanity bag – seeing me walk through an airport is like watching a float at Mardi Gra. With a trip pending overseas at the end of the year, I’ve been on the hunt to add to my pink collection and find the perfect travel accessories to take with me. 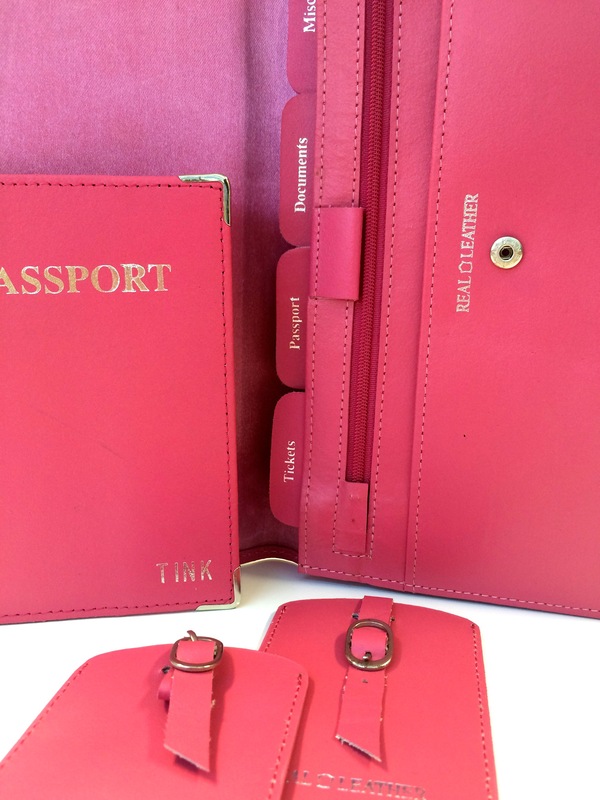 Recently I was squealing like a piggy (a pink piggy) as I opened a very special pink parcel from my friends at Ciao Bella Travel, who combined my obsession with monograming and my fascination with all things pink. They had sent me the most gorgeous travel set complete with luggage tags. This set was like nothing I had ever seen before, it was beautifully crafted and constructed from lovely leather, and did I mention it was pink and monogrammed!? Each piece is personalised to the owner with fabulous silver Monograming and are available in 18 different colours. 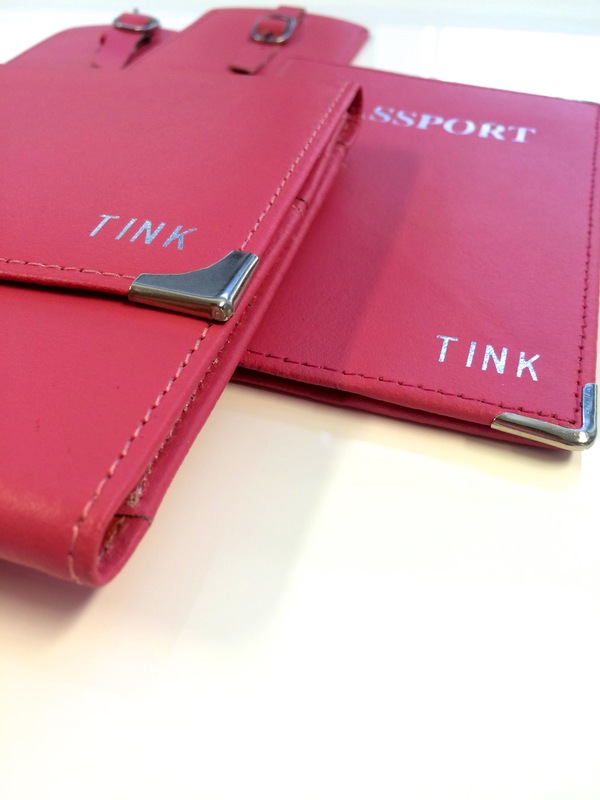 The Travel Wallet is filled with lots of compartments and has plenty of room for boarding passes etc. The Passport Holder will have people begging to know where you purchased such a unique piece, and don’t even get me started on the travel tags they are divine beyond words! Reading this I’m sure you’re seeing dollar signs and are expecting such extravagance to cost you hundreds, but this saucy little set retails at only $55.00 – just another reason why I’m quickly becoming obsessed with Ciao Bella Travel. Whether you’re travelling near or far, you will not want to leave home without this set. Our judges will choose their favourite answer and announce a winner on the 13th of March at 10pm. Ciaobella Travel is the destination for all your travel accessories and travel clothes . We are passionate to bring you fabulous products to make your trip both stylish and hassle free. From travel wallets and passport covers to the perfect dress for travel, in classic black as well as in this season’s colours. My dream holiday is to napier, New Zealand, not only is it the art deco capital of the world, and stunning at every turn, from the Art Deco buildings, to the seaside, to the backdrop of luscious green rolling hills, but its my hometown, i miss it dearly, i try to get home as often as i can to see my beautiful sister, niece, nephew, nana, and my bestie of 20 years. I would take my son, and share as much of this beautiful pkace as i can, to give it a place in his hesrt, but more than that, it fills my heart to see my child with my sister snd her children. nd though likely he won’t remember nana , but it gives her so much joy to see her great grandson, which is such a rare treat. Ooooh I’d go to Milan ..the fashion capital of the world ..
I’d take my bestie ..
although neither one of us can walk in high heels anymore, we will soon learn even if it meant taking lessons .. Excitedly we Would farewell our families and approach the plane yelling ciao Bella ciao bella!! I would be of to Bora Bora in a heart beat . Looks so beautiful there , peaceful and tranquil . And I would take my best friend with me so we could relax and drink wine to our hearts content , with no interruptions , just us and the peace. As my sister due to have her 5th baby in 8 weeks id love to go see her around her due date to meet my new neice or nephew and say hi to her other 4 children. My teenage son would come with me!! America with my partner who dreams of travel , adventure and thrills, far from his hard hats, hammers and drills. As he builds he dreams of journeys out over the sea, can’t afford a ticket yet but daydreams are free. My dream holiday would be to Ireland with my grandad. We always talked and planned on travelling to Ireland to see where he grew up and show me around the land of the little green men until Cancer aggressively took him away from us on such short notice. I still plan to go to Ireland and take my boys with him to show him that’s where ‘GG’ lived (great grandad). That’s where I would go with my grandad for two weeks. Wow my sister is preparing to go on a world trip in style and this would be perfect for her she is going to malyasia and this will make sure she doesn’t lose or misplace anything! So gorgeous! I’d love to be the favourite for surprising her! I’d take my son on a dinosaur dig in WA. HE wants to be a palaeontologist and loves David Attenborough. He’s just 8 so we’d start with the dig then I’d find a meet and greet with the great David. I think the 2 could chat about animals for many many hours. I promised my Mum that one day I would take her around England to visit all the places where her favourite classic authors are from, like Jane Austens and William Shakespeare’s house! She is the person that instilled my own love of classic literature! Hawaii or definitely somewhere tropical where there is sun, shopping, and swimming. Somewhere I can lie on a sunbed reading a book whilst my hubby and son happily splash away in the water of a pool or beach. Bliss for us all. Anywhere where I can see water! Just river, creek, ocean, sea or shower! Living in drought makes you appreciate the smallest things in life and water would be it for us! A nice coastal holiday like Noosa would be wonderful. But I’d even take a night at the local pub ‘to get away’! Definitely my family deserve this just as much as myself. Surprise my husband with a trip to Scotland to see all his family. He has been dying to get back there but unfortunately due to money constraints and general living we haven’t had the chance. The smile would be ear to ear and plus I wouldn’t mind the cold weather, just to hear those accents and see those kilts…. I would take my hubby to the UK so we can meet together all my aunties, uncles and cousins that I have never met or last seen when I was 6 years old and we immigrated to Australia. I don’t even have to think about this answer – a CRUISE! Ever since having miss 3 we have had to ‘change’ our family holiday style. She was not like the others who were happy little flyers, sat nicely in restaurants and enjoyed all day trips and exploring. We attempted a family cruise for her 1st birthday and to this day it has been one of our favourite family holidays. To have a wonderful kids club where the kids love going, babysitters who come to your room at night, formal dinners, shows and dancing with hubby every single night. Exotic day trips only a short walk or boat ride away and lots of family fun has meant it is our ‘go to’ family holiday now and we all love it. 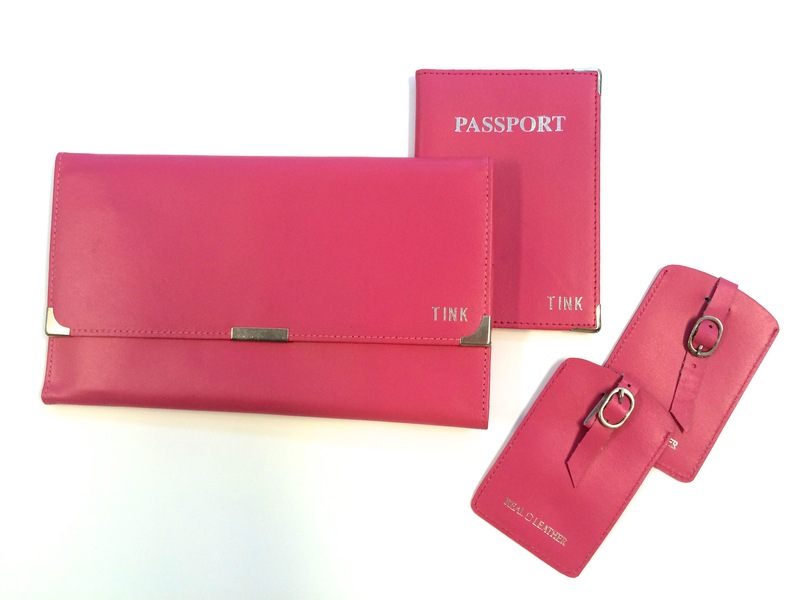 So 2 weeks on a cruise ship floating through the South Pacific would be the dream holiday with my beautiful little family and the Ciaobella Travel Wallet Set would be the perfect accessory for our next family cruise!